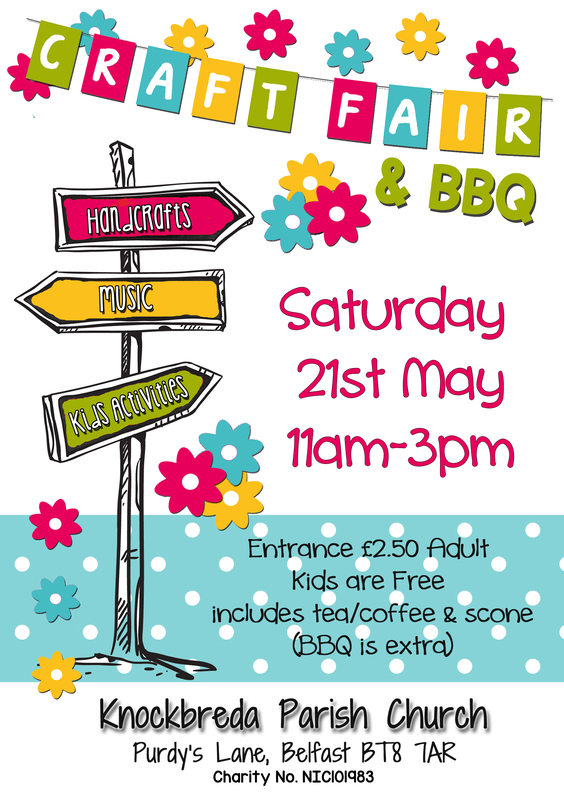 We are so excited to be taking part in the Craft Fair at Knockbreda Parish on Saturday 21st of May (11am-3pm). This will be the third craft fair they have run and the other two have been really great days out. As well as handmade local crafts and produce they have had an amazing Hog Roast, puppet shows, games, live music and of course tea & coffee which is included in the entrance fee. The organisers work hard to make sure there is a good variety of local crafts and insist on everything being handmade. As crafters we really appreciate this as there is nothing worse than going to a craft fair and finding that half the stalls are selling cheap, mass produced imported goods. So if you want a lovely day out come along to Knockbreda Parish on May 21st and say hello.